A theme - don't send generic invitations, it's too easy to find great downloadable invites that reflect your party theme on Etsy or by doing a Google search. In this case I found paper and elements and created one myself using Lumapix FotoFusion (more on that later). The theme will give other parents a direction when choosing a gift as well. The birthday boy's (or girl's) name and age - kids are involved in so many activities these days and parents are getting party invitations from not only school friends but ball team, church, gymnastics and dance friends too. An address - directions are not as important anymore but a good address parents can put in their GPS is a must. I purchased a couple of different digital kits to create this invitation and you will see these elements again and again during our party planning (continuity is very important). The first kit is the Avengers Digital Scrapbook Kit from MyFunInvite (Iron Man and the background papers) and the second one is Superheroes Pop Art Text and Bubbles (conversation and action bubbles and buildings) from the Clip Artopia shop on Etsy. I created the invite using Fotofusion by Lumapix - it is a go to program for me when creating anything printable - including scrapbook pages. I chose a comic book look as the design after creating an Avengers Party Board on Pinterest (more on this in the next Party Planning 101 post). I love the bright colors and the whimsical look of the the comic book design and I think it is age appropriate for this party. 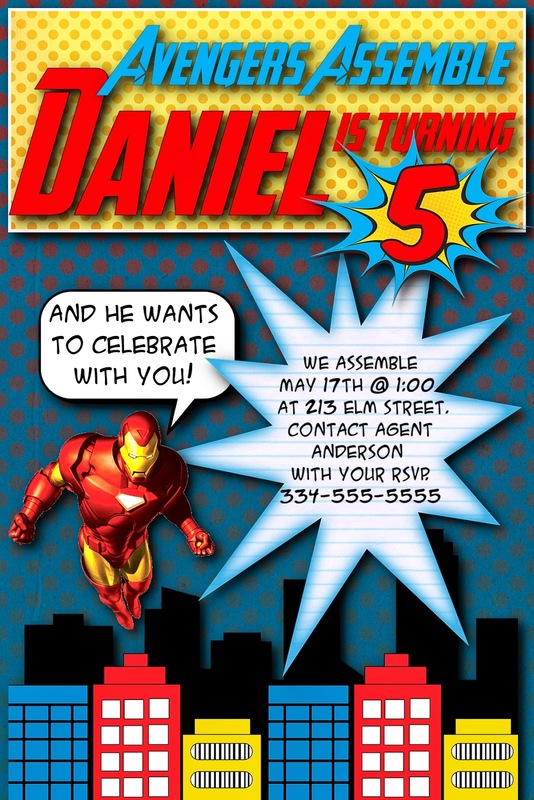 Daniel's favorite color is red, which is reflected on the invitation, as is his favorite Avenger - Iron Man. Staying true to the comic book design, I chose the Avengeance Heroic Avenger font for the comic book title and A.C.M.E Secret Agent font for the conversation and action bubbles. If you have any questions or invitation design tips of your own I would love to hear them. You can post in the comments below or on the Disney Donna Kay Facebook page. 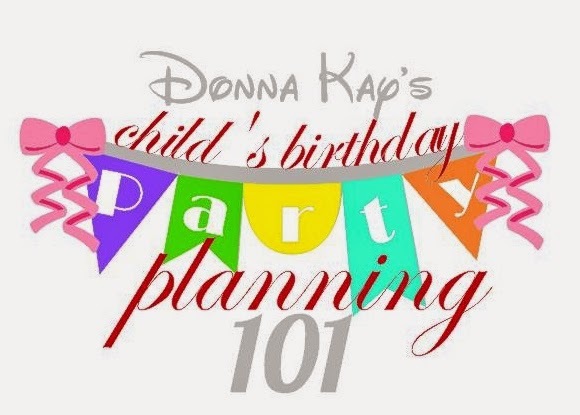 Be watching for the next Donna Kay's Party Planning 101 post on how I use my Pinterest board to spark my creativity for party decor and food. When designing your own invitations look for scrapbook kits, they will contain embellishments that coordinate well their background papers, which makes designing easier for you. Choose pictures in the PNG format as design elements for your invitation - they have no background so you get a cleaner design. Make sure your invitation reflects the mood and style of your party.